R.J. Toomey black, molded plastic hangers are extra-wide and designed to prevent creases from forming in the shoulders of your vestments, pulpit robes, choir gowns or other clerical garments. 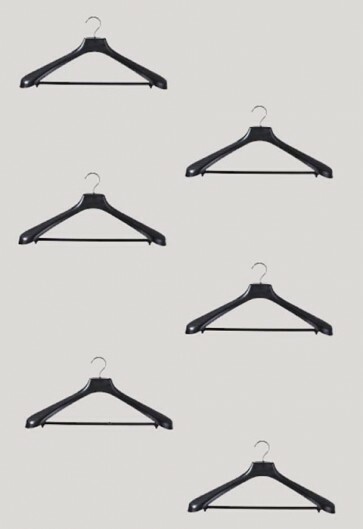 Each hanger also has a hanging bar for stoles or other small garments. Set of six hangers.